Have you ever imagined you were an astronaut? Like, maybe if you are taking a long, boring plane ride, you picture yourself strapped into your seat like it's a command station on a spacecraft taking you to Venus? Or, if you're going through junk in the shed, and you have no idea what you're getting yourself into, do you imagine yourself as a member of a daring interstellar salvage team, scouring an abandoned derelict ship for supplies and possible treasure? 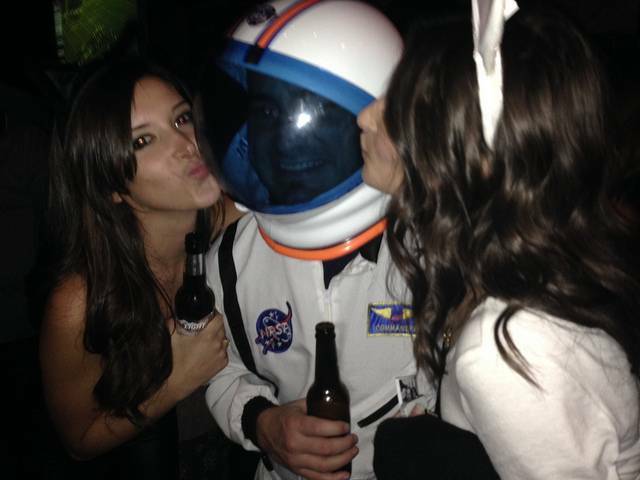 We know you have, because it's way too much fun to not do, and it's much easier than actually becoming an astronaut. Maybe some day, space travel will become common enough for everyone to be an astronaut, and then we won't have to imagine being one in our day to day lives. 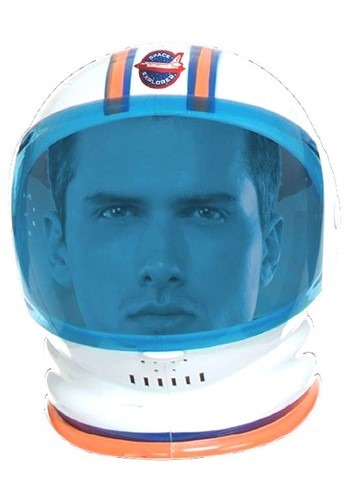 But until then, just put this Astronaut Helmet on your noggin, and you can feel a little bit like the dashing space jockey you've always wanted to be. Wear it with the rest of your astronaut costume, or with your regular outfit to look like a space explorer with a casual side! This helmet is so perfect for a great costume. Not cheaply made and worth every penny. I'm going to wear it for our VBS THEME week at our church. So glad I purchased it! The helmet looks just as good in person as it does on the website. My son ordered this and made a Mark Watney" The Martian" costume! Quality product so realistic!